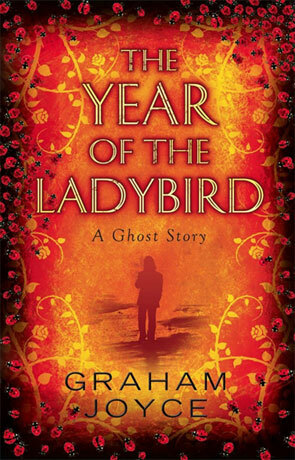 If you've read any books by Graham Joyce you will feel very much at home with The Year of the Ladybird. Not only does it read very much like his previous stories - complete with the everyday path of the protagonist and minimal use of any genre tropes - but The Year of the Ladybird feels like a very personal journey too. It feels like it's a part of the authors childhood, memories expounded upon rather than fictional accounts and it's an incredibly warm and rewarding journey to take. The nostalgia is almost tangible and provokes a wonderful reminiscent feeling of long, lazy summer days and that feeling of being young, free and alive. Of course the slowly meandering story that contains the ever so slight hint of fantasy is fictional (or at least I am guessing it is!) and to be honest it's almost incidental too. The real purpose of the novel is the journey into that very first adventure as a young adult, the first leap of independence and working; earning your own real money for the very first time. It's also a love story and it's a testament to the author's talents that I liked the book as much as I did as it really isn't something I'd usually go for. Set in one of the hottest summers on record, 1976 the year of the ladybird follows David as he leaves college and gets his very first job away from home as a greencoat in the holiday camp of Skegness. A decision prompted in part by a photograph of his late and unknown father and a desire to understand who he was and why he left David's life at an early age. I must admit that I found it difficult to like David, he is a bit of a weak character and while some of this can be understood as his young age he also makes some very poor decisions. This does however highlight just how much life the author injects into his creations, each and every person in the book comes across as a living breathing person, warts and all. The Year of the Ladybird is one of those books that you should enjoy for the journey, it's like a warm step back into your own personal coming of age - coloured with a rose tint and a subtle back-story - recommended to anyone who wants to read something a bit different. Written on 2nd October 2013 by Ant.